JNN 05 Mar 2014 Bangui : The last Muslim in the Central African Republic town of Mbaiki was killed by radical Christians who have been attacking, killing and mutilating Muslims in the town everywhere they find them. According to a report by the French language Le Monde newspaper, Saleh Dido, deputy mayor of Mbaiki was brutally killed by Christian mobs as he refused to leave his under-attack hometown. 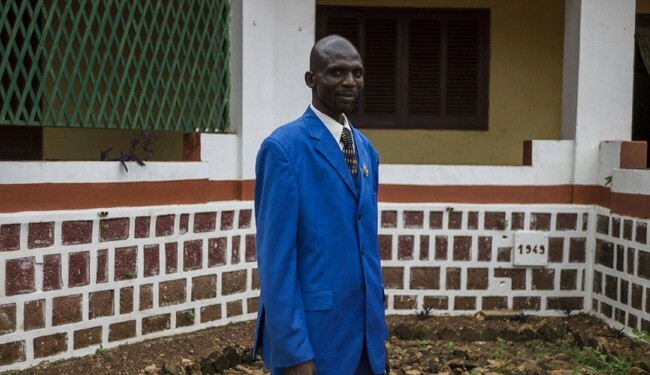 When Muslims left Mbaiki under the pressure of Christian vigilantes known as “anti-balaka”, looking for revenge after the country descended into chaos in March 2013 , Saleh Dido resisted and stayed in his city. “I was born here. I had children here. I am the deputy mayor for five years, I have sworn, I am a patriot. Why should I leave? I want to live in my country … ” Dido said then. Radical mobs have set fire to mosques and have brutally killed and mutilated Muslims on an almost daily bases in CAR during recent months. Last month, the violence in the African country reportedly claimed over 1,000 lives and forced about one million people to flee their homes. The United Nations warned today that people fleeing conflicts in CAR are growing increasingly sick and hungry with children particularly at risk. In November 2013, the UN warned the country was at risk of spiralling into genocide and said it was “descending into complete chaos”. Some 2,000 French troops, supported by a 6,000-strong African Union force known as MISCA, are currently stationed in the CAR, but they have so far failed to curb the violence. France deployed its troops in December 2013 after the UN Security Council unanimously adopted a resolution giving Paris and the African Union the go-ahead to send troops to the strife-torn country. This entry was posted in AFRICA and tagged CAR, Christian, Mbaiki, mobs, Muslilm, Radical Christian, Saleh Dido, the Central African Republic town. Bookmark the permalink.